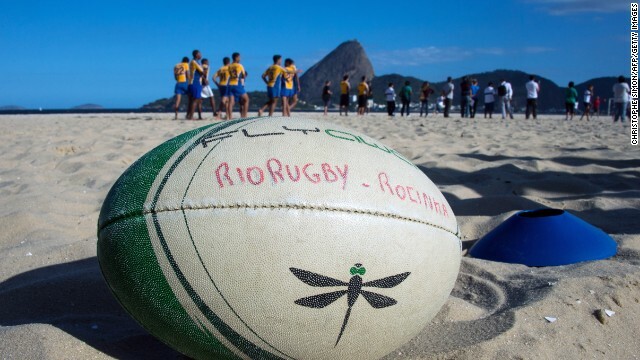 Rugby sevens will make its Olympic debut in Rio de Janeiro at 2016 Games. “Que?” says the boy as he takes the oblong shaped ball in his hands, a perplexed look on his face. “Play,” we say. The boy shrugs, gathers his friends and does the first thing that comes naturally to a Brazilian with a ball - keepy-uppy. But even these naturally fleet of foot local Sao Paulo boys soon tire of their kick-about with a rugby ball. Handing back the oval-shaped imposter, they return to the spherical football they love so much. While the majority of Brazilians may not be familiar with a rugby ball or have even heard of Rugby Sevens, come August 2016 this soccer-loving nation is set to transform the fortunes of the game when it makes its Olympic debut in Rio de Janeiro.